reality sector increase morethan 5% above, bank , loan provider stock bullish trend today, nifty close above 7624 with gain of 98 point, sensex close at 25550 with gain of 321 point. Rupee close at 60.12 recovery on 60.20 levels against dollar. gain 373.55 point or 2.51% close at 15265.45 , icici, axis bank, sbi Top gainers in bank nifty. 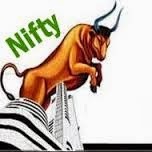 Reality sector : Dlf increase more than 13.20 point or 6.17% close above 227 , unitec, db reality, anant raj. infra share Trend: jp associate, adani port, jp power, irb infra most gainers 7% to 4%. Crude Oil March and Brent Oil April series have gained 0.3-0.4 percent each at $ 54.51 and $ 57 per barrel, respectively. Natural Gas April expiry has declined 0.3 percent at $ 2.692.